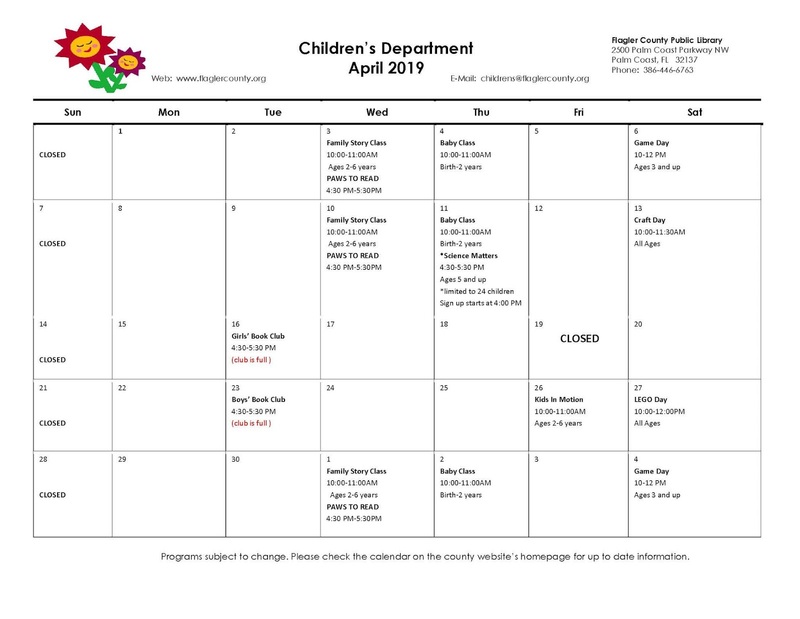 See flyer below for information on April Children's Classes at the Palm Coast Library. 2500 Palm Coast Pkwy. N.W. For more details on the Flagler County Library and services, visit their website by clicking HERE.